Real estate isn’t the only place where location counts. For emergency services it is critical. In fact, it will be the first question police, fire or ambulance call takers will ask. 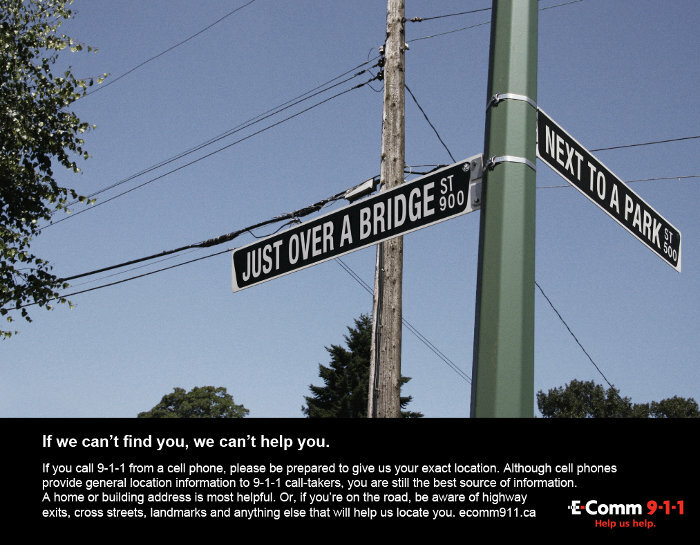 Knowing your exact location is always important no matter which phone you use to call 9-1-1. But, if you are using a cellphone or internet phone, it’s paramount. 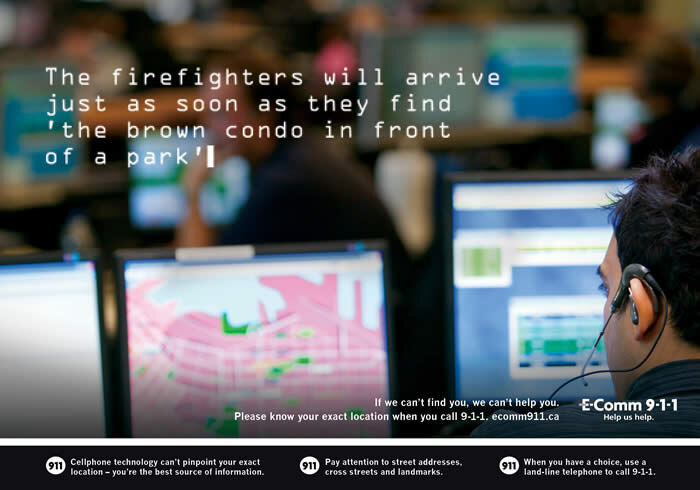 In Canada, the only phones that provide exact address/location information to 9-1-1 centres are landlines (the wired phones found in homes and businesses). Calls made from mobile phones or VoIP (Voice over Internet Protocol) phones do not provide your exact location to 9-1-1 call takers. That’s why call takers will always ask you for your exact location. 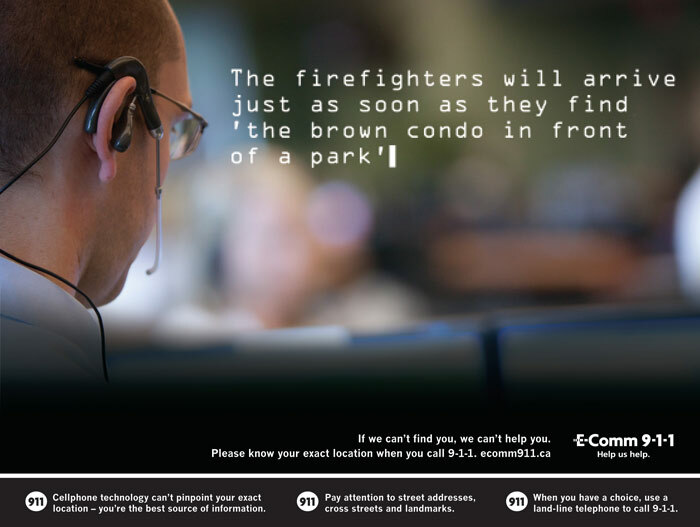 In these public awareness campaign materials, we highlight the importance of knowing your location at all times when you call 9-1-1 for help. 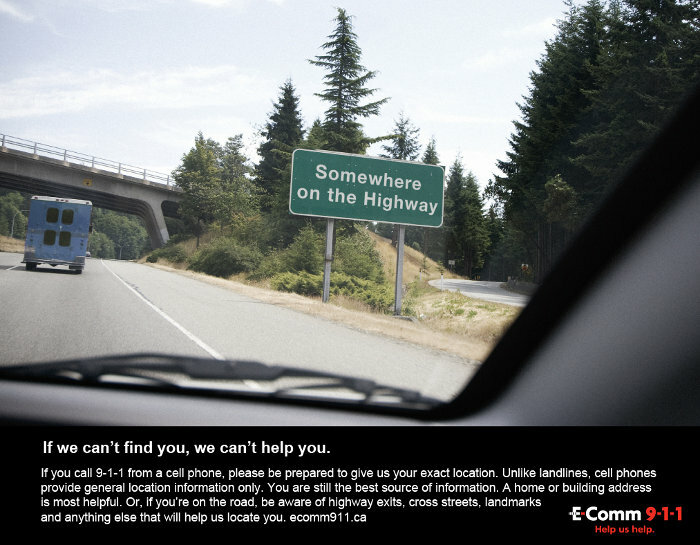 “If we can’t find you, we can’t help you.” These ads focus on the importance of knowing where you are when calling 9-1-1. Radio Ads below: Break and enter 2009 and Structure Fire 2011.